All money goes to support convicted anti-fascists. I’m super excited to have Misantropic for the first time in Malmö on Friday, finally!! 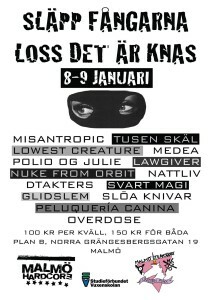 And Tusen Skäl will combine their show on Saturday with the release of their record, don’t miss it! 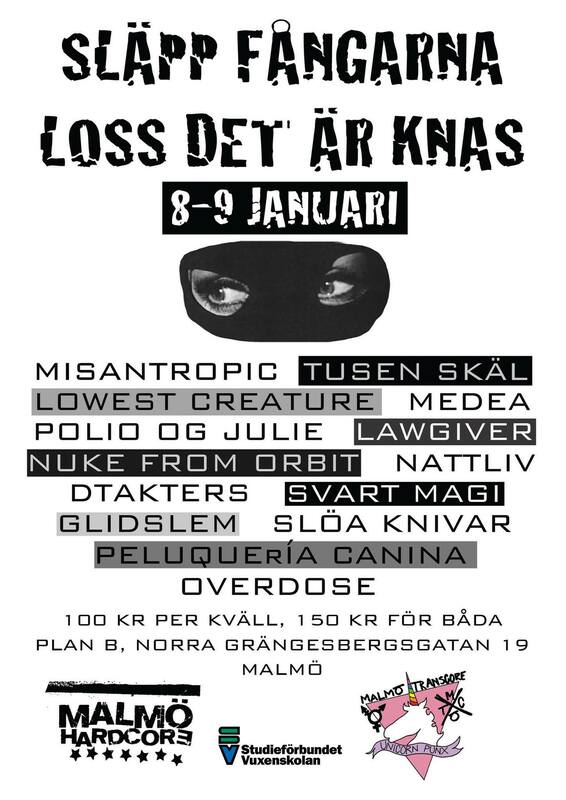 Other bands are Svart Magi, Slöa knivar, Lowest Creature, Dtakters, Nattliv, Medea, Polio & Julie, Overdose, Lawgiver, Nuke from Orbit, Glidslem and Peluquería Canina. Some new ones and some oldies but goodies. Minimum age is 20 yrs old. If your in Malmö you could also get tix at Rundgång.